Judith E. Glaser presents a framework for understanding how conversations trigger different parts of the brain. 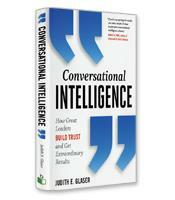 By deciphering the neuroscience, Glaser offers strategies for learning conversational intelligence and developing the conversation skills that propel individuals, teams and organizations toward success. How different parts of the brain influence conversations. Tools and strategies for learning Conversational Intelligence and raising your C-IQ. 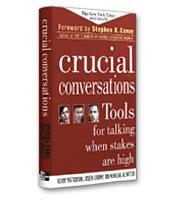 How to create Level III conversations in your organization. The importance of trust for building conversations that lead to successful change.